These mini star rings from the shining star collection are designed to sit on the mid finger. 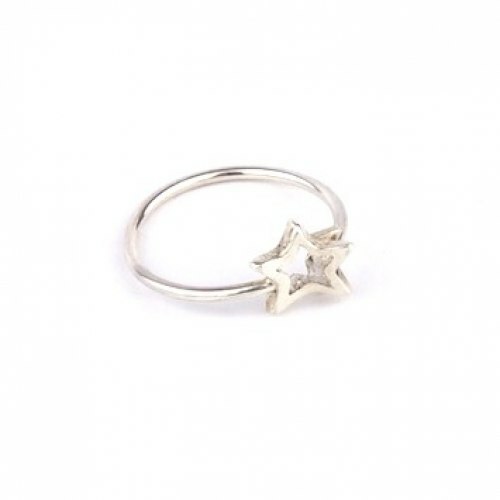 These cute rings look great worn on either the "pinky" or "browny" or on any of your fingers. Also available in a chain style. Crafted in sterling silver and available in both a rose or yellow gold vermeil finish. Please check your finger size against the ring chart.